Orlando Retirement Villa For Sale – HERE’S YOUR CHANCE to own a home in a GREAT 55+ COMMUNITY just a FEW FEET FROM THE LAKE. 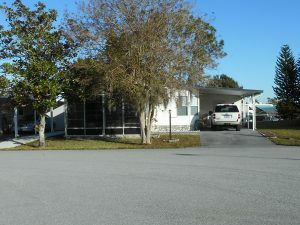 This two bed/two bath home needs TLC but offers a large kitchen with a corner window, double stainless steel sink, room for bar stools at the counter, a built in china cabinet in the dining area, an 11×19 master bedroom suite, a 10X16 front screened room, 12×25 carport allowing room for two cars, and a 12×20 storage shed. This home includes the share valued at $43,900 and is considered real property. No lot rent! Come see how you can make this home your own! !